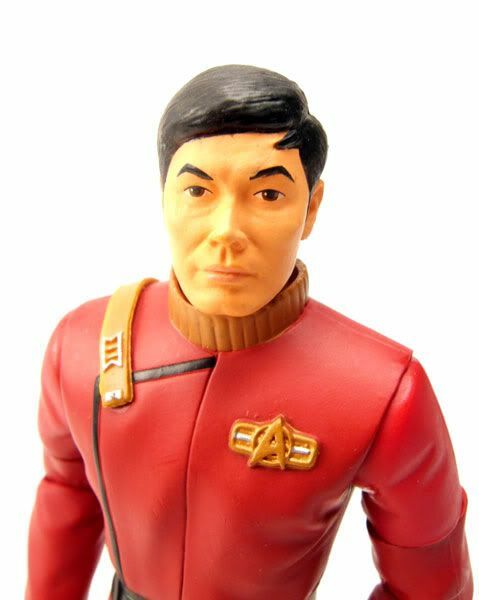 Commander Sulu was released as a Comic-Con exclusive as part of Diamond Select's second assortment of Star Trek II The Wrath Of Khan figures. 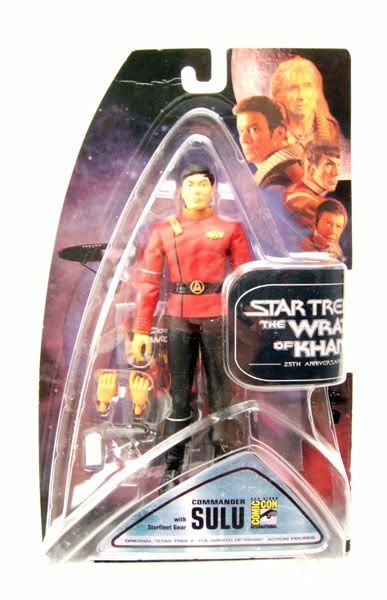 The Rundown: Diamond Select did something a little funky (and somewhat frustrating) with it's second assortment of Star Trek II TWOK figures. 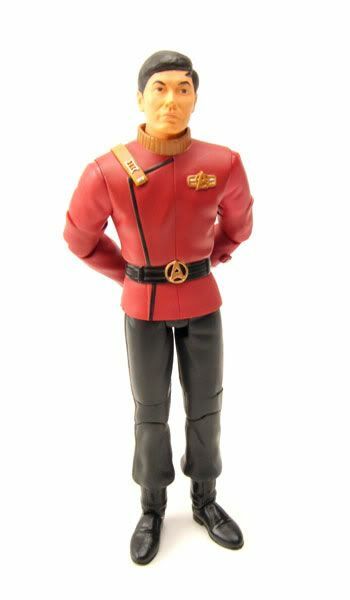 Repeating the same formula as the previous year's TOS "Mirror, Mirror" set, the entire assortment of figures was released as a comic-con exclusive. 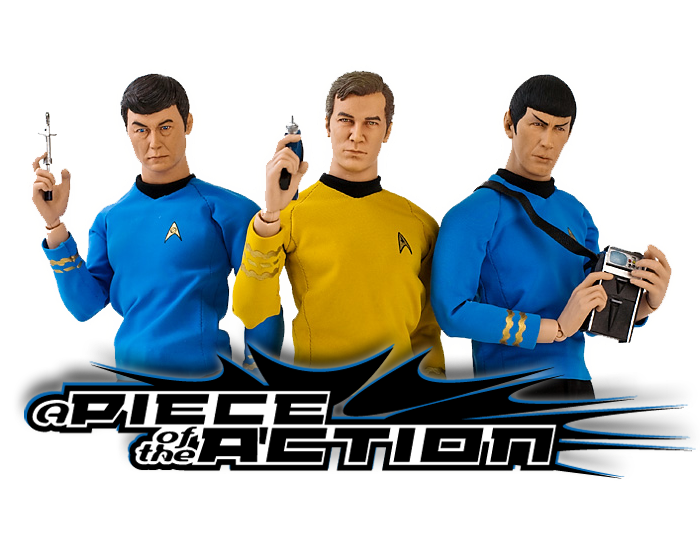 So if you wanted to build the entire TWOK crew, you had to somehow snag the comic-con exclusive set to get McCoy, Scott, Sulu, and Chekov (not to mention the bonus "Genesis" Khan figure). 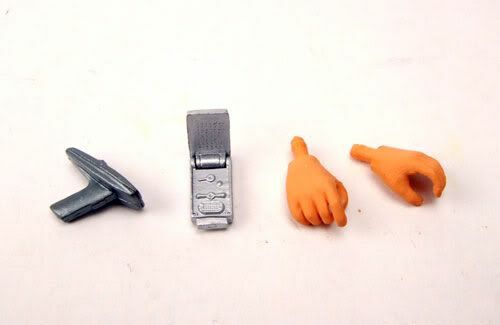 The figures have been relatively easy to acquire since their release, but I for one was pretty nervous about trying to get a set leading up to the show. I really like the bodies made for the TWOK figures. 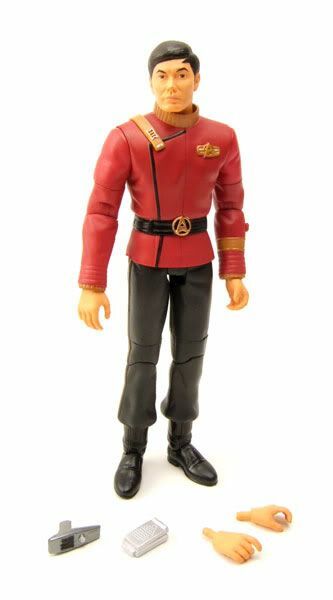 They feature really nice, accurate detailing on the uniform, and the body features nice articulation that's not detrimental to the sculpt. Really nice work. 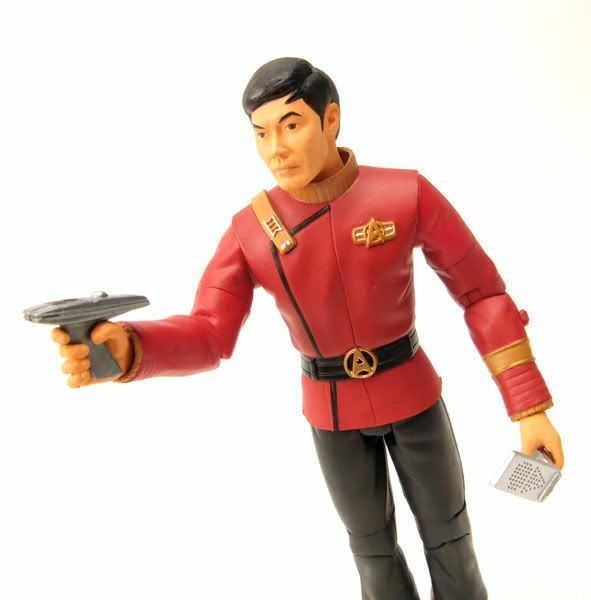 Accessories: Sulu comes with a TWOK style phaser and communicator, plus 2 extra hands.